LIMITED OFFER: Now there’s NOTHING TO LOSE when you try Dodow. Get a FULL REFUND if you return your device within 100 days. 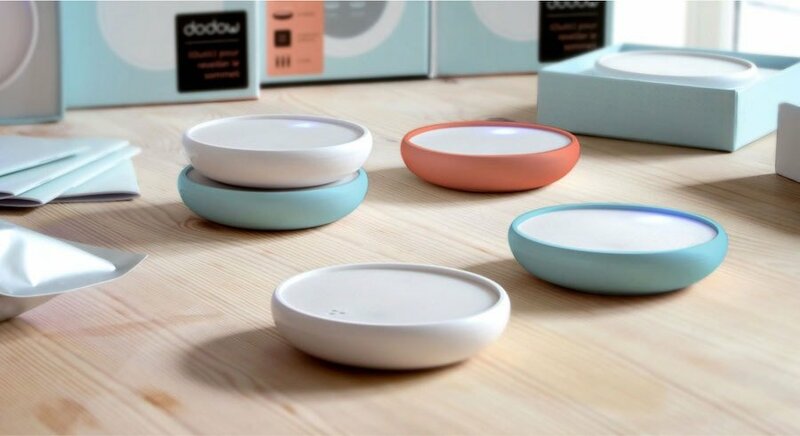 Dodow is a revolutionary sleeping aid which sits on your nightstand and slowly projects a rhythmic glow onto your ceiling. Focussing on the light helps clear your mind, slows your breathing, and relaxes your body so you can quickly, peacefully drift off into a deep, restful sleep. 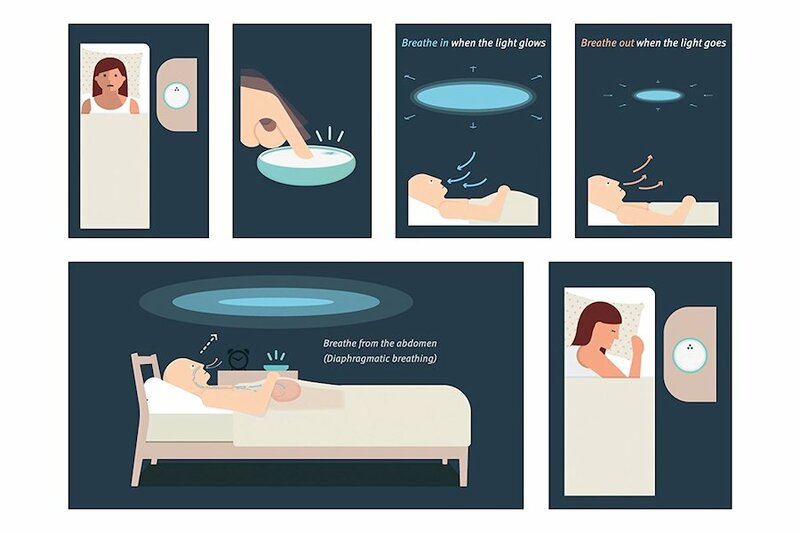 Dodow has helped over 300,000 users fall asleep faster using science-based guided breathing techniques. 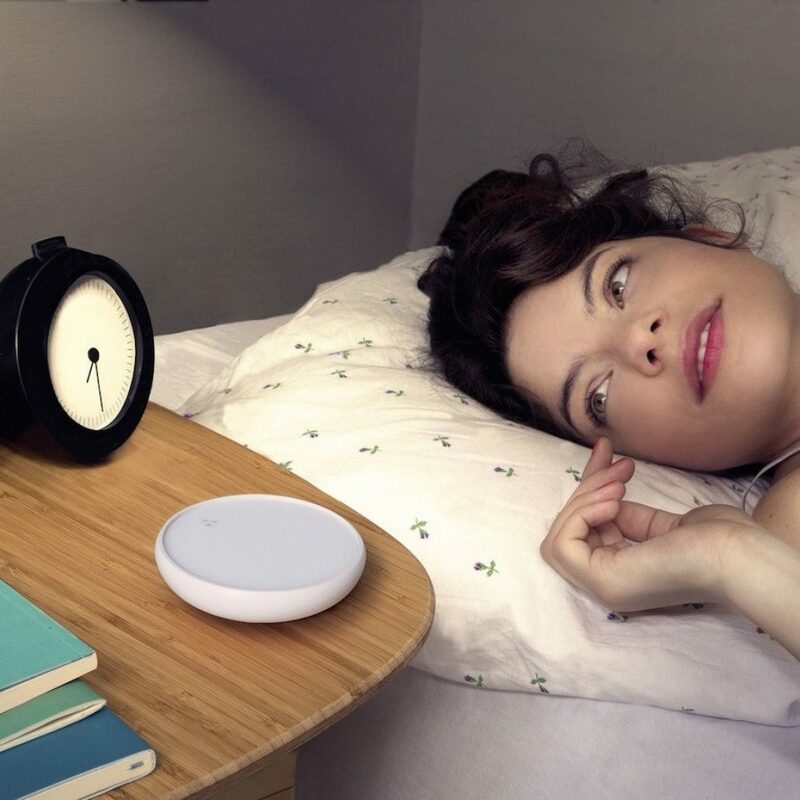 Based on a survey of over 300 users, Dodow helps users fall asleep 2.5 times faster than normal. 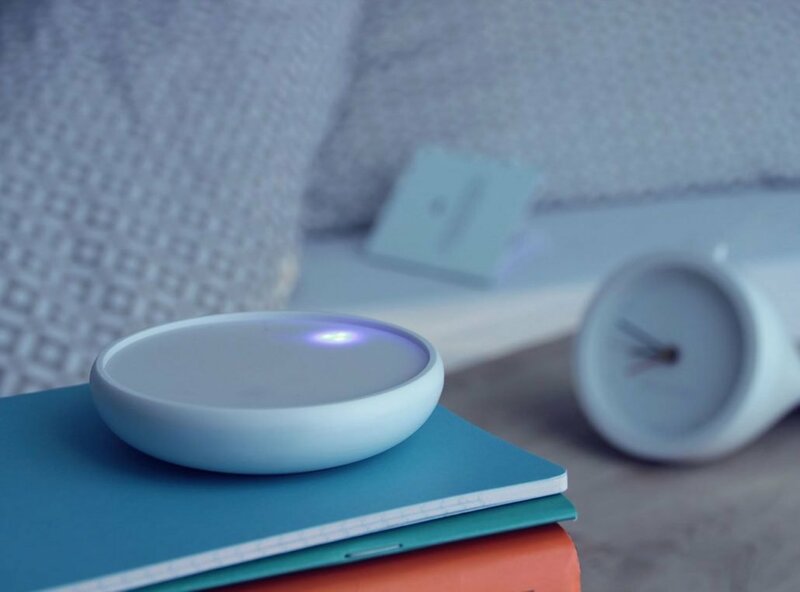 The device works by projecting a halo of blue light onto your ceiling which pulses at scientifically determined intervals. By synchronizing your breathing with the ryhthm of the light, Dodow creates a relaxing hypnotic effect, stimulating what’s known as the baroreflex, a physiological mechanism that restores the balance to your autonomic nervous system. The Dodow sleeping lamp is designed for people who have trouble falling asleep, a condition sometimes described as sleep onset insomnia. Dodow is also suitable for those who have trouble falling back to sleep after they have woken up at night. As part of the product development process, as well as the clinical evidence, scientists at Dodow looked at the existing scientific research about Pranayama, the yogic practice of controlling the breath to slow down the respiratory rate. When practised as a relaxation technique this technique can replicate the type of brain activity that occurs only in deepest sleep. Numerous studies have shown that slower, controlled breathing is one of the best tools to ease stress and mental turmoil, helping people get to sleep faster. Dodow lets you achieve this relaxing effect, lowering your heart rate so you feel drowsy and sleepy. 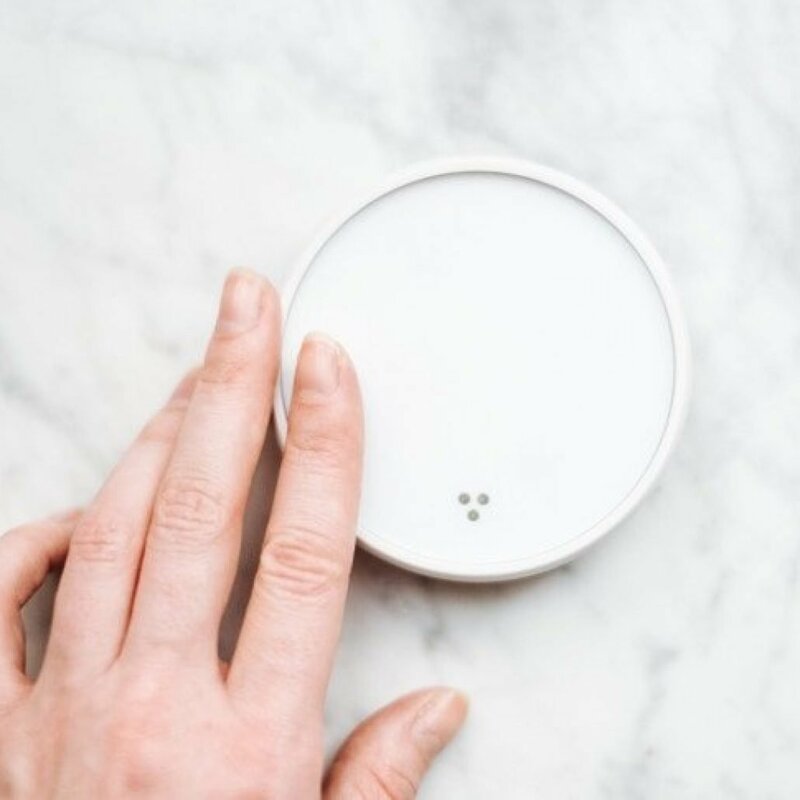 To use it, place the white disc on a countertop next to your bed. Then, simply tap the touch-sensitive surface once for an 8-minute session and twice for a 20-minute session. Once finished, the device automatically shuts off. Dodow runs on AAA batteries, no charging or wires needed. And because of its small size, it’s a perfect travel companion for business trips and vacations, and for help falling asleep when you’re in an unfamiliar location like a hotel room.